A multiple-vehicle crash in Austin TX was caused by the brake failure of a gravel truck, leading to several non-life-threatening injuries. Austin TX police stated that the four vehicle wreck happened at 9 am on Feb. 27, when a dump truck owned by Franco’s Trucking Sand and Gravel blew through a busy intersection at high speed, hit several cars and ran off the road. One of the cars hit was a Honda waiting to turn at the red light, and then the truck struck the other vehicles before it veered off the road. Four patients were taken to a nearby hospital with minor injuries. Records from the Federal Motor Carrier Safety Administration showed that the trucking company had several safety violations in 2014 and 2015, including inoperative headlights, tail lights, turn signal, and operating a commercial truck without proof of periodic inspection. Our Virginia truck crash attorneys have represented many injured clients whose lives were changed forever due to serious injuries in a truck crash. Unfortunately, failure to maintain a commercial truck or dump truck happens far too often in the United States. 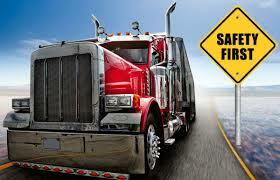 The Virginia Commercial Driver’s Manual states that safety is the top priority of all truck drivers and companies. Federal and state law mandate that drivers inspect their trucks before every trip. One of the most important parts of a pre-trip truck inspection is of the brakes. The truck driver should look for brake drum and shoe problems in the front, rear and trailer brakes. Our Virginia personal injury attorneys are experienced with truck accidents, and one critical regulation is Section 393 of the FMCSA regulations, which concerns parts and accessories necessary for safe operation. We have handled many large settlement truck crash cases where a big rig was operated with bad brakes, bald tires or outdated equipment. Bad brakes is a huge violation of Section 393, and if you have been injured by a truck with bad brakes, you could be entitled to compensation.